Mesothelioma is a rare and aggressive form of cancer found in the lining of the lungs, abdomen, or heart. Because symptoms can be similar to those of a number of other conditions, it can be difficult to detect or diagnose mesothelioma. This rare cancer is caused by exposure to asbestos and has no known cure. WHY SHOULD YOU CONSIDER HIRING AN ASBESTOS OR MESOTHELIOMA CANCER LAWYER? Malignant mesothelioma has one proven cause: exposure to asbestos. Employers knew that they were putting their employees at risk by using these harmful fibers. At Vogelzang Law, we believe that if you or your loved one were wrongfully exposed to asbestos, you deserve justice. During this difficult time of dealing with a mesothelioma diagnosis, an experienced asbestos attorney can offer the knowledge and resources needed to help you and your family fight for justice. 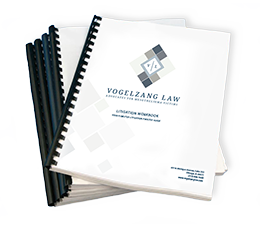 Vogelzang Law has helped over 200 families with asbestos-related litigation, and it is our priority to guide you through each step of the process with transparency and top-notch legal representation. In addition to these top four treatment options, other therapies include: photodynamic therapy, virus, gene and immunotherapy. The grade of the mesothelioma cancer – A “grade” refers to how abnormal the cancer cells look under a microscope. Grading provides clues about how quickly the cancer is likely to grow and spread. Only an experienced mesothelioma cancer physician can recommend the best treatment for the best possible malignant mesothelioma prognosis. Originally developed by the International Mesothelioma Interest Group, the TNM staging system is the most accurate and the most commonly-used system in mesothelioma diagnosis. It describes tumors (T), lymph nodes (N) and how your cancer has spread, or metasis (M). The TNM staging system is very detailed, involving notations like: T1N0MX or T3N1M0 where the tumors, the lymph nodes and the metastasis is further quantified. As malignant mesothelioma is relatively rare when compared to other cancers, there are not many recent statistics regarding mesothelioma prognosis. On its website, the American Cancer Society cites a large international study of pleural mesothelioma completed in 2009 that revealed the median survival rate using a stage system that was more generally described. These survival rates for malignant mesothelioma ranged from 21 months for Stage I to only 12 months for Stage IV. Considered a rare cancer, malignant mesothelioma can be difficult to diagnose. Not just because of its rarity, but also because the symptoms you experience could be due to another type of cancer, such as lung cancer. That’s why it’s important to see an experienced mesothelioma physician to ensure your diagnosis is accurate. That said, regardless whether it’s lung cancer or mesothelioma, it’s important you do see a physician if you are experiencing one or more of the symptoms described above and you’ve been exposed to asbestos 20 or more years ago.